Years go by and the way to do marketing and reach customers is evolving. The marketing experts have to be totally updated to all the news and trends that occur around marketing. This happens especially with SEO, since Google is constantly updating its algorithms and the way we appear in search engines. Google Voice increases its number of users every day and is called to be the future of online search. Google has managed to improve this tool and reduce the failures that the algorithm had, which is giving more confidence to users and attracting new ones. Google Voice basically talks with you to help you perform your search. In 2018 you should take into account this type of assisted voice applications to improve your positioning. There is little time for mobile phones to overflow computers when it comes to searching for information. This has been happening since virtually all people have access to smartphones. Google has even announced that it will give priority to pages that are fully optimized for mobile (design, loading time, usability …) and will place them above those that are not. Analyze the different features of your website on a mobile and optimize them to the maximum to achieve a better positioning. A part of the load time that your page has (Google recommends that it does not exceed 3 seconds), something very important for the user when deciding whether to stay on your website or not, your website must be designed from so that it is easy for the user to navigate in it and find what you are looking for, thus staying more time on your website and improving your SEO positioning. Avoid too many ads or pop-ups, have a clean and attractive page. One of the most relevant ways in which search algorithms are evolving is through search customization. It is based on various factors, from previous searches to personal tastes. This is a great advance for users, but also for companies, because if people click on your website many times, they will benefit from positioning. 5- Is your content relevant? Your content must be of quality and be correctly implemented to your page to keep you in the highest positions of the search engines. Google uses Latent Semantic Indexing, a method to analyze the semantics of content and see the meaning it has with your page. It also analyzes the frequency of the words in your content and if it is copied or unique, something that will drastically change the positioning of your page.The more adjusted you are to these parameters, the better positioning your page will have. If you have content writer and you want to check quality of content than you should use plagiarism checker tool to verify your content is 100% unique or not. Google has been investing in this type of technology for a long time and it is expected that they will have a strong impact on the positioning of web pages. In 2018 you should be aware of the updates and news that Google publishes on this topic and try to adapt it to your brand and your website. A marketing strategy integrated into various platforms will increase your SEO positioning. Apart from taking care of all the channels that you use, you have to create a coherent brand image, since Google is developing an algorithm to position higher those companies that your brand image is consistent. By being on several platforms simultaneously and properly and updated, users can interact with you from different sites and Google will improve your positioning, as it captures information from your website from various channels. Something basic to the success of any company is to understand what the consumer wants. In terms of SEO, it means understanding what your client wants when you are browsing your website. 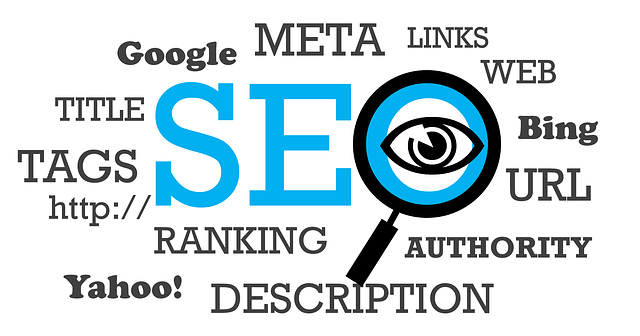 This will make the user spend more time browsing your website and therefore increasing your SEO positioning. You have to understand what interests you have not only to create a website that suits your needs, but also to create content relevant to them. One of the ways in which Google analyzes if your website is relevant is through the backlinks. The more backlinks in quality pages (preferably related to your sector) you have, the more your positioning will improve. A good way to do this is to exchange links with other blogs, although if your content is good and relevant, users will use it for their own posts and you will create even more backlinks. Creating content on your blog is essential, not only because it will invite your users to discover about new topics, but also because they will be able to share that content and improve your SEO positioning. Also, by having content shared and used in other posts, you will get backlinks. 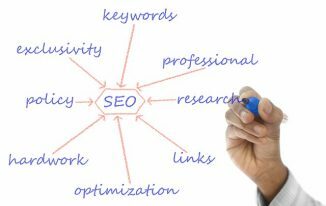 By implementing all these strategies, you are sure to improve the SEO positioning of your website. In any case, the year has just begun and you should always be aware of the changes that Google makes in its algorithm and the functions that most affect positioning. How to get rid of the legal hassle pertaining to dishonoured cheque!